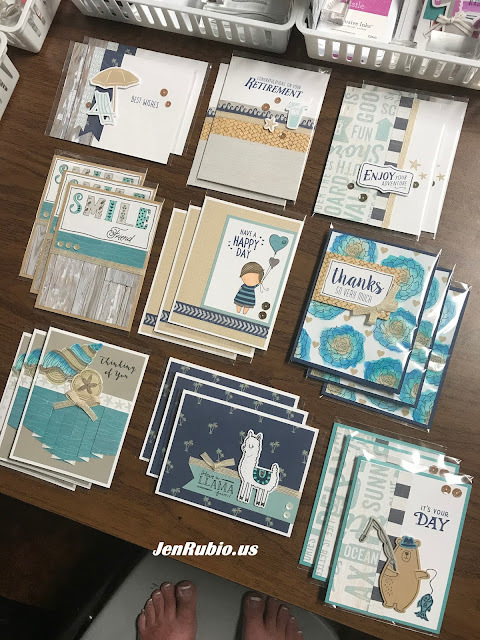 CTMH with Jen Rubio: Last chance to RSVP for the July 15th Workshop!! Last chance to RSVP for the July 15th Workshop!! As of Friday 7/7, I still have TWO extra kits left!! (they can be cut for either a scrapbooker or a cardmaker). (or a friend) still wants to plan to join us on 7/15!! TRIPLE TREAT Creative Day Retreat! 4 – 12x12 scrapbook layouts (8 pages)! or 24 – greeting cards (3 each of 8 designs)! *Please note: only 3 of the layouts and 3 of the card designs are shown here. The additional artwork will be shared on Facebook (and online at JenRubio.us), as the event gets closer! Scrapbooking guests also have the option to “add-on” 6 cards (2 each of the 3 cards shown below), for just $5 more, payable at the workshop. 6 cards (2 each of 3 designs) - ADD ON for $5 more (payable at the event). and three each of the remainder of the card designs.